Did you know that you can actually make money testing websites? It’s true and the pay is better than most other online extra cash gigs. There are several companies that hire usability testers to record their thoughts into a microphone while using one of their client’s websites. This helps the client figure out what people are attracted to on a website, what turns them off and more. 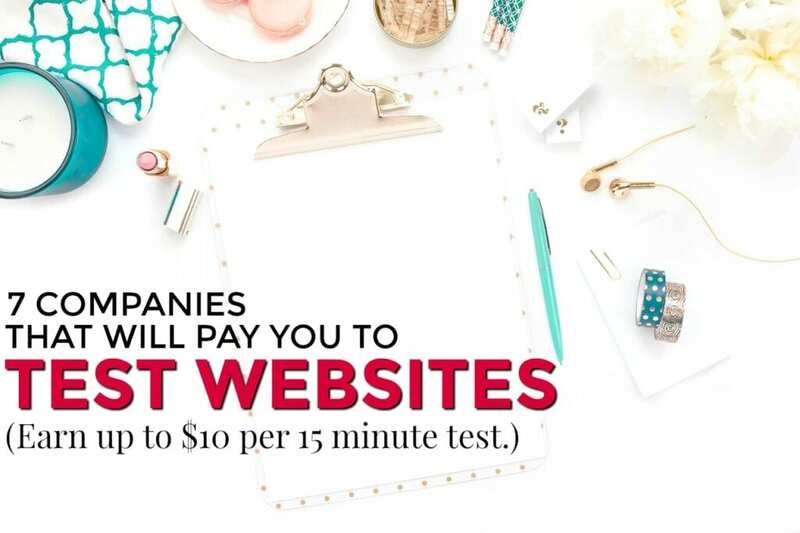 On average you can earn $10 per 10-20 minute website test. 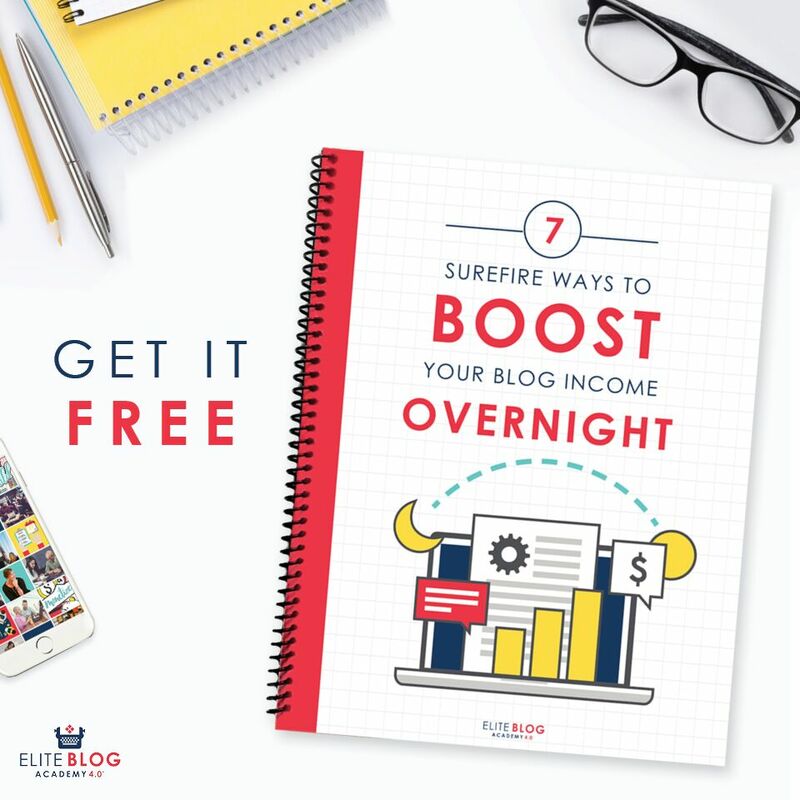 Unfortunately there’s not enough work from one of these sites to replace a day job, but if you sign up with several sites you can walk away with decent side income each month. 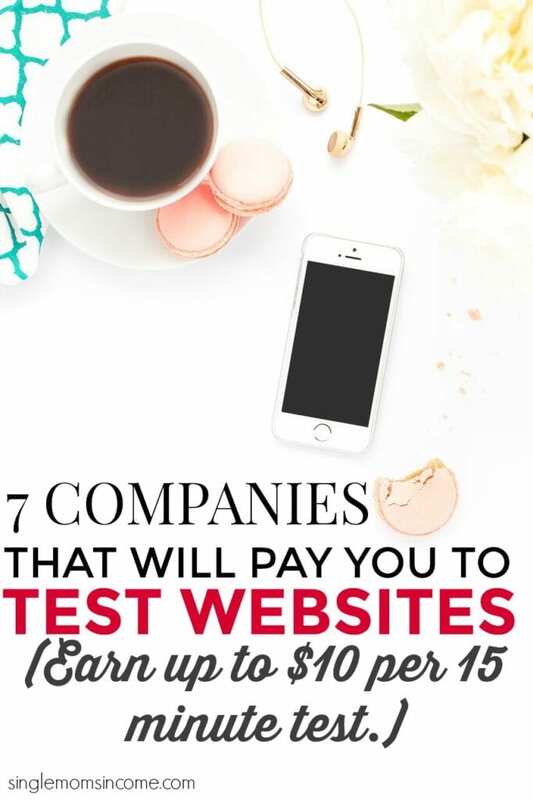 Here are 7 companies who will pay you to test websites. UserZoom has been in business since 2007 and has conducted usability tests for top companies like Kroger, AT&T, and State Farm. To get started you need to be at least 18 years old. You’ll need a computer, tablet or smartphone, WIFI and will be required to download the testing software. You can sign up with UserZoom here. Enroll enlists usability testers to help companies decide on design concepts and streamline their websites or apps. With Enroll you can take usability tests via computer, phone or tablet. Pay comes in the form of rewards and varies depending on the task. Rewards can be cashed out via PayPal. You can sign up with Enroll here. User Testing is one of the most well-known companies of its kind and tests the usability of both websites and apps. As a tester you’ll be asked to visit a certain site or app, perform specific tasks and speak your thoughts while doing so. The number of tests you’ll be asked to do per month depends on your quality rating and demographics. Pay is $10 per test. The average test is around 20 minutes long. Payment is made via PayPal 7 days after completing a task. You can sign up with User Testing here. UserLytics does a lot of user testing including websites, apps, social media content, advertisements and more. There are several different types of tasks they employ their testers to do. To get started with UserLytics you’ll need a microphone, a webcam, Windows 7.0 or newer/MacOS 10.7.3 or newer and the most recent version of Java. User tests take, on average, 20-40 minutes to complete. The pay is $5-$50 per test, depending on many factors. Pay is made via PayPal. You can sign up with UserLytics here. To become a tester with UserFeel you’ll need a PC with Windows 7 or newer or a Mac. You’ll also need a microphone and of course, an internet connection. If you would like to test mobile sites you’ll need to invest in equipment that costs about $100. Before you can become a tester you’ll be required to take a qualification test to be sure that you can clearly speak your thoughts into the microphone. Tests typically take 10-15 minutes. You can get started with UserFeel here. UserBrain pays tester to test out desktop and mobile websites and apps. They’ve worked with some large companies such as Spotify. To get started with UserBrain you’ll need to download their Chrome Extension or IOS App. You’ll then be given a set of instructions and will need to speak your thoughts while testing websites or apps. Tests take, on average, 5-15 minutes. Pay is $3 per test. You can sign up for User Brain here. UTest is a bit different from the other sites as they have jobs available in multiple countries and spread across multiple demographics. For example, as of today they have a job posted looking for teenagers to test a Facebook page, Californians to test a mobile app for ordering burgers and more! The jobs are definitely fun and unique on this one. Pay can be made via PayPal or a Payoneer account. You can sign up for UTest here. While these jobs are fun and pay well they are not consistent work. I recommend that you first try out one or two companies and see if you like testing out websites for extra cash. If your answer is “Yes!” then it’s best to go ahead and sign up with multiple companies to increase your odds of getting usability testing jobs. Good luck and happy user testing! Previous Post: « How to Become a Virtual Assistant with Time Etc. I didn’t even know they were paying people to do this! That’s awesome! Cool, thanks! I wasn’t aware of these companies but am always looking for new opportunities. Will be checking them out. This is a really neat way to make some extra cash. Obviously you won’t get rich but if you have some extra time on your hands why not use it make an extra $10-$15 bucks? Thanks for putting together the list of sites. Definitely! This is one of my favorite extra earners. The jobs aren’t consistent but you really can’t beat $10-$15 for twenty minutes of your time. But UserTesting has the best rating and feedback so far. And people have reported most number of testing jobs from there. Has anyone heard of or tried test IO for website testing? I’ve never heard of that one – will have to check it out.